As the CBI conducted searches at residence of former Union Minister P. Chidambaram and his son in Tamil Nadu on Tuesday, BJP leader and Union Power Minister Piyush Goyal asserted that the Centre never interfered with the probe.The Central Bureau of Investigation said the searches were in connection with criminal misconduct in the grant of Foreign Investment Promotion Board (FIPB) approvals when Chidambaram was the union Finance Minister.Asked about the case, Goyal said: "An investigation must have been going on... raids don't happen overnight. ""The government does not interfere in CBI probes... as a common citizen, I can say the probe must have been going on. Agencies must have had the evidence to take the action they are taking," Goyal said at a press conference at the Bharatiya Janata Party's office here.Terming the CBI action "political vendetta", former Finance and Home Minister Chidambaram and his son Karti said on Tuesday they were being targeted as the Centre wants to muzzle their voice. 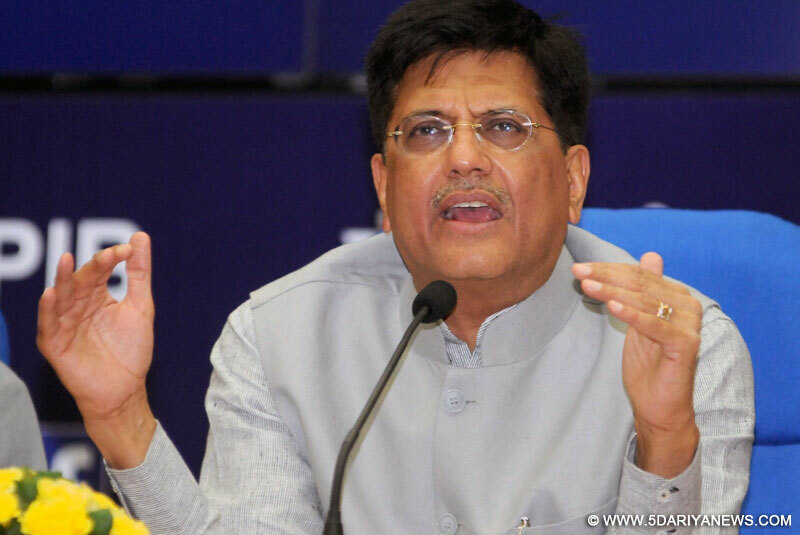 Taking a jibe at the former Union Minister, Goyal said: "He is saying it is happening because he writes some columns in newspapers. No one cares about those columns, they have not stirred any storm in the country. "The raids were conducted in connection with the FIPB clearances given to INX Media (now called 9X Media) when it was run by Peter and Indrani Mukherjea and Chidambaram was the Finance Minister.Separate CBI teams conducted searches at more than ten places in Tamil Nadu, besides carrying out over a dozen raids in Delhi, Mumbai and Haryana's Gurugram.The agency's move came a day after it filed an FIR against Karti Chidambaram and Indrani Mukherjea in the case.The Enforcement Directorate (ED) has been probing the involvement of Karti Chidambaram's company for alleged foreign exchange violations.